It was either a sign of the measure of the complete revulsion felt by those who had worked with previous Quinzaine des Réalisateurs director Frédéric Boyer, or an expression of relief that the 44th edition was coming to a conclusion (or both), that new director Eduoard Waintrop was thanked from the Theatre Croisette stage during the awards ceremonies for “bringing a smile back” to the Quinzaine. And don’t let the door hit you on the way out, Frédéric. The sacking of Boyer by the SRF (Societe des réalisateurs de films), which founded and governs the Quinzaine, was based on rampant disappointment over the quality of and reception to Boyer’s programming in the two editions (2010, 2011) following longtime Quinzaine director Olivier Père’s departure to run Locarno. Boyer’s bitter response put a public spin on the sacking—who can forget his charge, mainly directed at a hostile French critical community, that “the 2011 selection was the target of a Franco-Cannes war whose primary aim was to make heads roll”?—and so the conclusion of Waintrop’s first program marked the moment to fire back. But emotions, pre-Waintrop, went beyond the widespread sense that the Quinzaine was losing its mojo. To its horror, those at Theatre Croisette in 2011 could observe that down the beach at Espace Miramar, the red-headed stepchild known as the Semaine de la Critique was upstaging it, grabbing up wildly praised films such as Jeff Nichols’ Take Shelter, Valerie Donzelli’s La guerre est déclarée, Pablo Giorgelli’s Camera d’Or winner Las Acacias and Justin Kurzel’s Snowtown that objectively belonged in either the Quinzaine or Un Certain Regard. (Thierry Frémaux, recognizing his faux pas with Nichols last year, made damn well sure he wasn’t making that mistake again by slotting Nichols’ solidly made Mud into this year’s Competition.) Regardless of a few decent films in the lineup, such as Karl Markovic’s Breathing, the sheer mass of mediocre-to-poor work, plus disappointments such as Kamen Kalev’s The Island and Philippe Ramos’ Joan Captive, left the 43rd Quinzaine at a low ebb. Waintrop, unlike Boyer, belongs to the mainstream of French critics (traditionally, the pool from which Quinzaine artistic directors are plucked), and has the added strength of being a genuine film historian, especially with his insight into the intricacies of classical Hollywood. Yet it was troubling to hear, in interviews he conducted just days before Cannes’ opening, his open admission that he wasn’t really on top of what was going on in American independent cinema. (I had American festival programmers promptly messaging that they wished to contact Waintrop and offer their services.) If the Quinzaine was going to bounce back, it needed to do several things, including restoring Père’s skill for tapping into interesting currents in US cinema and genres. This kind of confession didn’t bode well, and it was hard not to notice that the best American film so far this year, Craig Zobel’s galvanizing drama Compliance, had been passed by all of Cannes’ sections. What Waintrop and his team did select proved to be a safe and calculated program, explicitly designed to draw thematic links between individual films, pulled into the orbit of the politically correct and with few rebellious or impossible-to-categorize projects in sight. It became a program constructed to right the ship, make few waves, generally satisfy with little excitement, and to stir up no trouble. It mostly lacked the complete tank jobs of the Boyer regime—which this year were found in the Semaine de la Critique—but more crucially, it generally shied away from the daring genre strokes and radical cinema of Père’s years. Something in the middle of the road, the place Texas politician Jim Hightower famously quipped where you find dotted lines and dead armadillos. Something to smile about? Not exactly. The smile, if anything, was more of a phantom, the one that’s left behind when the Cheshire Cat vanishes. Opening night was an unmitigated disaster, Michel Gondry’s unwatchable and unlistenable The We and the I, a would-be ensemble comedy trying to pathetically ape Spike Lee as it hangs out with a New York high-school class while they take the bus home on the last day of the semester. The movie is infused with an unmoored racism, positioning the completely non-white corps of school kids as thugs, bullies, or creeps, with so few exceptions that they’re not worth mentioning. At the same time Gondry insists on the gaze of an insect, bug-eyed, scrambling from one bus seat to another, desperately trying to tap into what makes these kids cool. This embarrassment made it an easy pick, even on one of the earliest days of the festival, as likeliest the worst Cannes 2012 entry of them all, and sure enough, once the dust had settled, Gondry won by a mile. If this was the new Quinzaine’s idea of exciting Yankee cinema, we were in big trouble. Fortunately, this was rectified with the selection of Rodney Ascher’s brilliant, clever, and fairly mindblowing Room 237, an overview of various obsessives and their theories regarding Stanley Kubrick’s The Shining, which is discussed elsewhere in this issue. 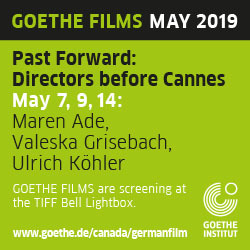 But beyond balancing out perceptions, Ascher’s meta-study, along with Ben Wheatley’s third subversive movie in a row, Sightseers, and Rachid Djadani’s outlandish and frenetic debut, Rengaine, suggested a direction for future Quinzaines, which begins with this observation: The three most entertaining films in the program were also the most radical and eager to play outside boundaries within which most of the other films were all too willing to contain themselves. 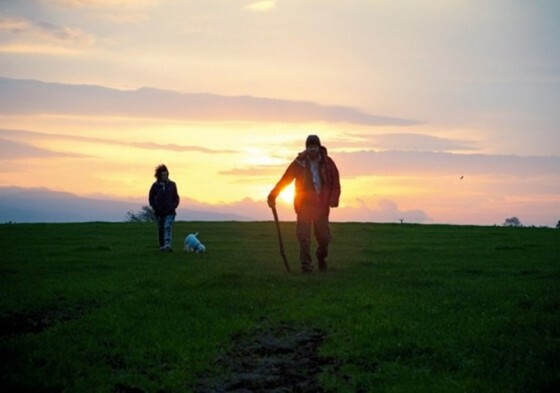 Because of its strange slotting outside the main lineup as a “séance special”—somebody’s awkward notion of a midnight movie—Sightseers was surely the most overlooked movie in Cannes. Even among those who wanted to see it, based on Wheatley’s already extraordinary track record with Down Terrace (2009) and Kill List (2011), many didn’t, defeated by a very Cannes-like schedule of impossibly conflicting priorities. Extending his determination to honour and also reinvigorate exhausted genre standards, Wheatley continues his practice of transplanting typical British domestic and family codes and structures (in this case, the dominant mother and her subservient adult daughter) into murderous situations. Down Terrace traces a family circle of gangsters, but refuses to deliver a gangland movie in any recognizable sense. Kill List follows a pair of wartime-trained hit men, but invisibly evolves into a horror movie infused with Greek tragedy. Sightseers spoofs Mike Leigh’s working-class domestics, then pokes fun at Blighty armchair adventures on the Beeb, only to emerge as a serial-killing black comedy. Nobody fucks with you like Wheatley, who has a showman’s instinct for audience manipulation in the best sense. Despite the fact that she may be responsible for the death of her and Mum’s pet dog, Poppy, Tina (Alice Lowe) is viewed as a lovably goofy gal who needs a holiday—which she gets with new boyfriend Chris (Steve Oram), who wants to take her on a tour of some of Britain’s more interesting scenic oddities in his camper trailer. As well as any filmmaker today, Wheatley understands cinema’s powers of deception; this, combined with a demonic sense of humour, produces something that’s always combustible and dangerous—in other words, just what you want out of your annual Quinzaine. And as Sightseers grows steadily nastier, there’s plenty of evidence that Wheatley is also not trying to top himself from movie to movie, and to avoid the common trap of aiming to impress. Shot with a seeming casualness and almost as if the director were himself on holiday, Sightseers sometimes feels like a bit of slack-off after the tour de force of Kill List, but this, too, is deceptive. Comedy staged to feel as if it’s in the moment, as Rengaine also demonstrates, conceals its inner workings and painstaking plans: both films straddle the precipice of chaos, with each director firmly in control of the reins. Wheatley we know about; Djadani is the surprise, possibly the discovery of Cannes, and for this, Waintrop deserves considerable credit. Rengaine couches a tall tale in a social-realist context: 40 French Algerian brothers must find a way to stop their only sister from marrying her black French African boyfriend. The sheer number of family members is the comedy’s engine, but Djadani doesn’t play things for comedy; his situation is absurd enough, ensuring that the efforts to preserve family honour are never far from the spirit of Molière, even while the urban milieu is in that grey Parisian suburban clime between hip-hop and Islamic orthodoxy. By design and like most great movie comedy, both Wheatley and Djadani go too far with their ideas as well as their political incorrectness, and this is precisely the point of their value in this lineup. Not unlike the ways in which Holy Motors and Post Tenebras Lux starkly stood out as rebellious Palme d’Or competitors pointing a pathway toward fresh radical forms in their shared consideration of death’s headlong approach for all of us, Sightseers and Rengaine remained apart from the rest of the Quinzaine field in their determination to amuse and disturb conventions. The consensus favourite in the program was undoubtedly Pablo Larrain’s best movie to date, No, the finale of his trilogy on Chile’s Pinochet years, preceded by Tony Manero (2008) and Post Mortem (2010). No is less important to the overall state of cinema than it is to Larrain’s career, which it charges up big time. 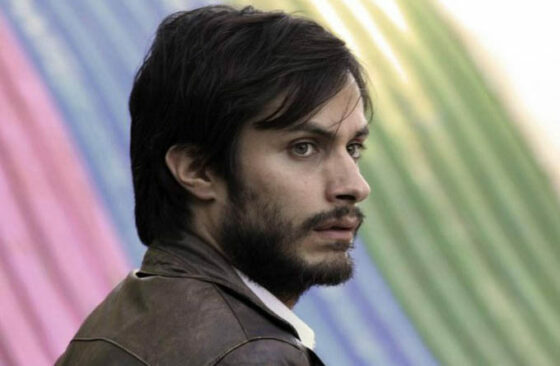 Seeming to be at first like a star vehicle for Gael García Bernal as Rene, a kind of Don Draper of his time as a masterful TV commercial maker, No emerges as an ingenious fable on the ways that modern politics have entirely projected their message and image through television. It’s an enactment of McLuhan media theories put into practice, but (again) as a comedy. Rene’s campaign of ads to urge voters to reject a 1988 national referendum to continue Pinochet’s position as dictator is viewed by Larrain half as a lightly attuned social satire and half as documentary—Rene is a fictitious composite, but the events actually did happen, and the TV ads are real, a dazzling array of archive material revealing pop-culture attitudes that mask the fact that Chile had endured 15 years of draconian darkness, and was on the verge of signing up for more of the same. In a lineup sorely lacking in visual invention or unconventional cinema grammar, Larrain’s video-drenched work stood out for its deliberately dated and even degraded imagery, informed by ‘80s television styles in Latin America (which, to North American eyes, most closely recall the ‘70s). From its TV-aping Academy aspect ratio, still the loveliest and most aesthetically pleasing of all big screen sizes, to its shot-on-U-matic, washed-out colour and shaky-cam, No is a direct contrast to the locked-down, 35mm widescreen images of Post Mortem, which strained from a certain self-importance. Even more, No revisits the theme of TV’s influence on the public that was so tendentiously depicted in Tony Manero and observes the medium from the standpoint of the message-makers: Pinochet’s ad team tries to apply the massage on voters, while Rene’s team aims to prod them awake. It’s worth noting that, like nearly all the better Quinzaine films, Rene’s commercials are best when they’re funniest, which they are a good deal of the time. No also belongs inside a thematic geometry that quite clearly determined Waintrop’s overall selection. Concerns for the mutual dependencies of politics and media link No with Swiss filmmaker Nicolas Wadimoff’s utterly failed faux-documentary on ’70s European radicals, Operation Libertad. That film, in turn, is connected with another drama about another group of underground ’70 leftists desperately avoiding the law while trying to remain relevant, Benjamin Avila’s unabashedly corny Clandestine Childhood, the first Latin American movie about revolutionaries which could be conceivably produced by the Walt Disney Company. These, in turn, link up with Merzak Allouache’s sober and intelligently crafted The Repentant, yet another tale of a failed revolutionary (is there any other kind anymore? ), who flees his Jihadist clan in the Algerian hills and tries to make amends for past crimes. And if Algeria isn’t messed up enough—which Allouache has made a career of stating—then Iran is a toxic site, judging by Massoud Bakhshi’s harshly framed judgments within A Respectable Family, which directly but unimaginatively depicts an exiled professor’s nightmarish dealings (all of them, I can personally attest, not exaggerated in the least) with bureaucrats, lawyers, and shady relatives over wills and passport documents. Much of the Quinzaine program had politics on its mind, even if they were pushed to the margins of the screen and even offscreen, as in William Vega’s debut, La sirga, a film about a young Colombian woman fleeing the country’s entrenched civil war and finding some kind of refuge in a coastal hamlet. Studiously guided by art-cinema principles that seem to be not entirely his own, Vega worked on his producer Oscar Ruiz Navia’s Crab Trap (2009), which also dealt with a hamlet’s handling of an outsider, and which Vega appears to overly imitate here. Another ultra-remote community, on the edge of nowhere (essentially where eastern Canada ends), could be found in Mexican filmmaker Yulene Olaizola’s gorgeous but somehow incomplete Fogo, a moody dip into the Beckettian void shot on Newfoundland and Labrador’s windswept Fogo Island at an artist’s residency that screams out for about ten more minutes of context (for example, why are the residents having to vacate their community?). Waintrop’s program design even included a high-school trilogy of sorts, starting with The We and the I and proceeding with Yuen Sang-ho’s poorly (line-drawn) animated Korean fable on bullying run amok, The King of Pigs, and ending with the tired closing-night title, Noemie Lvovsky’s Camille redouble, an utterly irrelevant re-do of Peggy Sue Got Married (1986), with Lvovsky’s Camille finding herself back in her high-school years. Toss in the plentiful teen action in Pablo Stoll’s phenomenally disappointing 3, and you have a quartet. 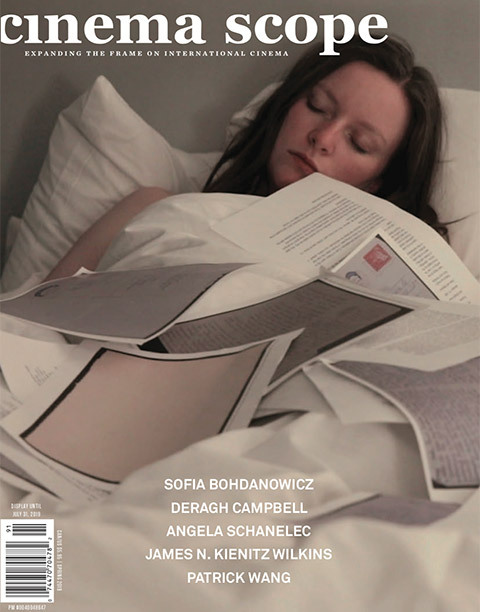 Stoll’s movie, along with Jaime Rosales’ pointlessly abstract family saga, Dream and Silence, filled out a certain obsession in the Quinzaine program with Latin American and Spanish-language cinema, almost all of it a failed project, with the exception of Larrain. Stoll is stalled; since the sad death of Juan Pablo Rebella, his co-directing partner on Whisky (2004), Stoll looks at a loss, now making a family comedy not remotely as amusing, clever, or smart as he seems to think it is. If Stoll is like a stand-up comic insistently waiting for his audience to react to his last dud line, Rosales is like a stoned poet whose ranting involves no one but himself, so in love with the way his 35mm widescreen camera frames his black-and-white images (with the occasional and meaningless inclusion of colour shots) that his people simply dissolve into the corners. Dead-end cinema, the final but hopefully not lasting theme of Quinzaine 2012.